Salé (Rabat) 23 December 2017 (SPS) - The Court of Appeal in the Moroccan city of Salé on Wednesday issued a 20-year prison sentence against Sahrawi political prisoner Mohamed al-Ayoubi. The Moroccan state had been forced to release him temporarily on 13 December 2011 because of his deteriorating health, which resulted recently in acute kidney failure and follow-up treatment for 3 days a week in a clinic for blood filtration in the occupied city of El-Aaiun. 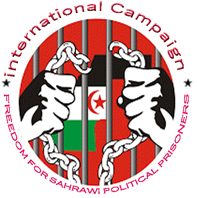 Sahrawi political detainee Mohammed al-Ayoubi had once attended session before the aforementioned court to discuss the issue of the detainees of Gdeim Izik on 13March 2017, where he denied all the charges against him after he stated that he was raped and physically tortured during his arrest by elements of the Moroccan army on 8 November 2010 in Gdeim Izik and during his submission in, the period from 08 to 12 November 2010, to the theoretical custody of the Moroccan gendarmerie in occupied El-Aaiun along with Sahrawi political prisoners. The military court in Rabat had also issued on 17 February 2013 a harsh and unfair sentence of 20 years imprisonment against Sahrawi political detainee Mohammed al-Ayoubi before the Moroccan state, through the Court of Cassation on 27July 2016, overturned this sentenec and other sentences issued against a group of his colleagues following the case of Gdeim Izik, and referred the entire case to a civil court, which did not wait in issuing almost the same sentences against all prosecuted, including the Sahrawi political detainee Mohamed al-Ayoubi.